Hola chicas!! With Halloween coming on Tuesday, I thought I should share this Halloween look I created! It's so low-maintenance, which is perfect as I was undecided whether or not this is the right outfit for me. So this is the completed look which I love!!! It looks super cute and like a little cute mouse. For my base, I used my NYX primer (which I think was rebranded as this is the only one I can find, however I own the Photo Loving one). Over the top of that, I used my Maybelline Fit Me! foundation in the shade 100. I forgot to get white face paint to make my face look more like Minnie's so I had to use my normal foundation. I didn't conceal, as I don't really tend to conceal when I'm wearing foundation. I then applied some fake lashes (I can't remember what they are called, but they are super long, like Minnie's lashes) and lined my eyes to cover my lash band. I used my Sephora eyeliner to create a loveheart nose and my whiskers. If I had black face paint I would have done this with face paint but I'm so forgetful! Finally, I bronzed, contoured and highlighted really quickly. I bronzed with my Bobbi Brown bronzer (I don't like sparkly bronzers, so if you find a cheaper bronzer that's like this let me know! ), contoured with a W7 contour stick and highlighted with my MUA highlighter, and then applied some of my NYX Epic Ink Lip Dye in the shade "Charmer". I got the lip dye in Milan, and it's available on the NYX website and I'm sure it's available in NYX stores, but I can't find it in Glasgow. Hi guys! I have decided to do an Interview with a blogger series every Wednesday, and I hope you'll be able to join me! This is so fun and I hope you enjoy reading the answers! 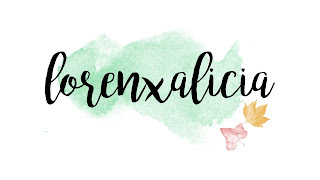 This week I am interviewing the lovely Loren from lorenxalicia. My blog covers a wide range of areas to be honest. I have posts where I show my readers where I have been or what I have been doing. As well as that, I love to share products I have enjoyed using and my first impressions on them. And I also write posts covering my favourites from beauty to music and TV. I love figure skating and baking also, I am hopefully going to begin to integrate them topics into my blog soon! I have always been interested in website building since I was little. I used to have a lot of Piczo websites back in the day and enjoyed putting them together as well as creating my own graphics for them. Going back about 5 years I think I entered the world of blogging after being influenced by the likes of Zoella and Sprinkle Of Glitter etc, however I wasn’t comfortable to start a YouTube channel, so a blog it was. I had about 3 blogs in total before settling on one I truly loved and have been using lorenxalicia for about 2 years now! My previous blog names were plainsparkle, lifeasloren and I think I tried a skating one too, but I can’t remember for the life of me what that was called. Outside of blogging I have a full time job. As well as this, I am a figure skater in training and have taken part in 3 shows (4 as of December 2017) and 1 competition at my local rink since I started back in 2014. I have also passed my Skate UK Level 1 to 10 and just finished my Skate UK Star Singles Bronze and I cannot wait to learn more! In October last year I attended a halloween party where I met a group of bloggers who I have kept in touch with ever since. We have a group Whatapp chat where we bounce ideas off one another, share knowledge and partake in general chit chat. Therefore these girls inspire me the most to keep blogging, as they are always there if you need to talk to them about anything life or blog related. The girls are Hazel from fleurcharms, Amy from purelyamy, Nikki from justaroundtheriverbend, Kirsty from kirstyleanne, Hayley from strangenessandcharm and finally Alice from alice-tilly. I also enjoy keeping up to date with bloggers such as itslittlelauren and palegirlrambling. I find that it takes me a while to get in the blogging zone but once I am I could write and plan out so many posts in one go. When I am home by myself I am more focused and motivated to blog as I can just sit down, put something on the TV, sit at my laptop with a cuppa and just type away. If I go out for the day and take some photos or buy something new to try, this also motivates me to write about it as I physically have something there to write about – in a sense. During my 2 years of blogging more consistently, my favourite achievements have got to be able to visit so many places and events as well as getting the opportunity to work with some wonderful brands. Hey guys! Recently I have been feeling very autumnal (this is just how I feel throughout the whole of Autumn!) and I've worn some very cute outfits! My absolute favourite Autumn outfit has to be my cute little red skirt with a plain black top! I love this outfit so much! I'm wearing a red corduroy skirt from Primark, which I can't see online. A similar skirt is this red skirt from Uniqlo, it doesn't have the buttons but looks so cute! For my top I have a plain black long sleeved top from Next with a scoop neck. I have a pair of black tights, also from Next and my hair is in two Dutch braids. Personally, this look looks better n my opinion with red lips and minimal eye makeup, so I applied my normal makeup minus eyeshadow and my Kate Moss matte lipstick in the shade '107'. Hi guys! I have decided to do an Interview with a blogger series every Wednesday, and I hope you'll be able to join me! This is so fun and I hope you enjoy reading the answers! 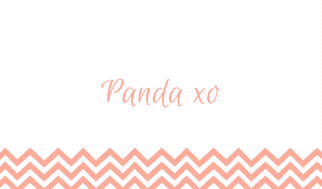 This is my third interview, and today I am interviewing the lovely Sophy, from Life With Panda. Tell me and my readers a bit about your blog and what makes you different? Life with Panda has only been running since March 2017 and I still have so many plans with it. 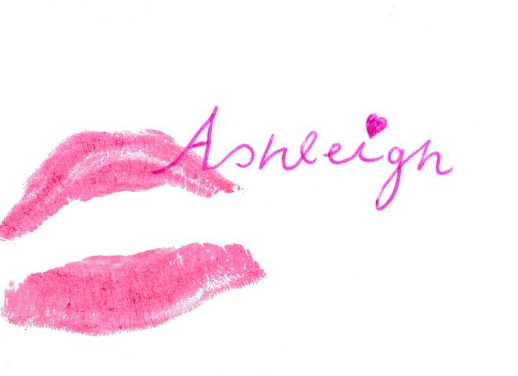 It's mostly a beauty & lifestyle blog but I will be adding more sections to it very shortly! I was reading other peoples blogs for years and i really wanted to set my own up. I didn't expect anyone else to actually like what i was posting, I just wanted my own little space. Outside of blogging I like to spend a lot of time with my family and going for long walks up the mountain! It's one of the things i love about where i live. So many bloggers inspire me, Here's a few of them! I've tried a few different ways to motivate myself, But i finally found one that worked for me. I like to plan everything (taking photos one day, editing the next and then writing the post ect). I would rather stick to a schedule as then it's sure to happen! So far it's hitting 100 followers on my blog. That was a huge achievement for me and i never even imagined 3 people following me, never mind 100 people. And a post she loves is here! Hi guys! I have three or four highlighters that I love, and rotate them for everyday wear. Today I thought I'd do a post on my favourite highlighters and talk about how beautiful they are! My first favourite highlighters are the MUA Undress Your Skin highlighters. I currently own three of these and I think they're really nice and there is a range for all skin tones. These highlighters are soooooo cheap and beautiful for the price - it amazes me how glowy and beautiful they make my skin look. For £3 I'd definitely recommend these over my ABH Glow Kits as the colours are so beautiful. I am also in love with my MUA Undress Your Skin liquid illuminator. The smell is a bit strong and it smells quite manufactured, but it is really pretty and gives your skin a healthy glow. This illuminator cost me £4 and I'd definitely repurchase if the smell wasn't so strong! I also own an ABH Glow Kit, and I feel like these highlighters are so raved about by everyone, and from using these I can see why! I have the kit in "That Glow" and I love the colours - the two darker colours, Sun Dipped and Bubbly, are too dark for me, but I love using them as eyeshadows! Hi guys! 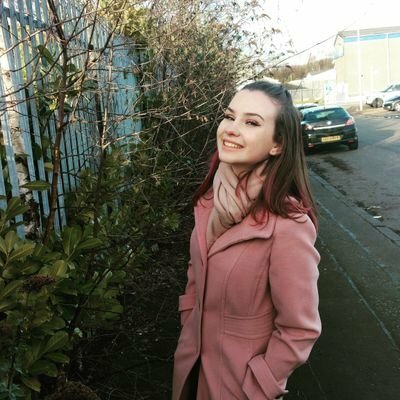 This is the second week of my Interview a Blogger series and today I'm interviewing the lovely Katie who has such a unique writing style that makes you want to read more! Hi there! My blog, Life With Ktkinnes, started out as a place for me to feel like I was talking and someone somewhere was listening. From that, it's grown to be a whole mix of things I love, recipes and tips, reviews, and some very rambly posts where I just chat away to everyone. Some have described me as a "diary-style" blogger, which I find rather cool and different, especially when I've never heard of anyone else's blog being described this way! I was lying in bed one night, reading about ways to make money alongside discovering new hobbies. Now before anyone jumps down my throat, I found it a bit ridiculous that people would start blogging just to get free stuff or make money, but it did make me realise that blogging would introduce me to a new world of people willing to be my friend! Let's just say I haven't been disappointed. One blogger who really inspires me is Jordanne from www.thelifeofaglasgowgirl.co.uk . Jordanne juggles blogging with raising her son, keeping the house together, and has just started a full time course in college - and I have no idea how she manages it! Her posts are amazing, and I love waking up to see a new post has gone live. I join in Twitter chats for my inspiration, then plonk myself down on the sofa or at my desk, flick on a film or the next episode of whatever I am currently addicted to, and just find the words flowing. I'm not one of those people who need silence to blog/work. In fact, the more noise the better! An example of this would be I am answering these questions while watching The West Wing and listening to the podcast The West Wing Weekly! What is your greatest achievement in regards to blogging? I think my greatest achievement in regards to blogging is the fact I'm still here. We all love to see our numbers increasing whether it's followers, views, subscribers or whatever, but it takes a lot of determination to keep going when these numbers don't rise as frequently as they once did. That's why I'm proud to still be blogging, 3 and a half years after I started. Am I allowed another? Last year, I held my first giveaway on my blog. It was a Christmas themed one to go along with my blogmas posts, and next thing I knew someone had linked to my giveaway on the money saving expert website! I actually was so proud of myself at that moment. Twitter - www.twitter.com/kvburton657 and you can keep up with the life of Katie! With Christmas around the corner (read: in two months) I thought I should do a post on saving money! If you're anything like me, you'll be buying Christmas presents already. I try to buy one present a week, or a few every two weeks, to ensure I stay on top of things. This means that you stay on top of things, but also when December comes around and everyone else is skint, you're not! I also set a budget when buying Christmas presents - I spend £20 per person and sometimes more depending on who it is, so spreading it out over a few months is super helpful! A small but super easy thing I have started doing is taking water and food out with me when I go out. This means I don't spend money on food that I don't need to spend. I also try and walk as many places as I can - this means leaving the house a bit earlier but I love walking! Nothing is better than a nice walk with some music on or a good podcast! These are just some of the tips I follow to save money! Hope some of them were helpful. Hi guys! I have decided to do an Interview with a blogger series every Wednesday, and I hope you'll be able to join me! This is so fun and I hope you enjoy reading the answers! My blog, Little Things With Jassy, is based in Helsinki, Finland and it's a work in progress. As I'm on a journey to improve my English, it's also a place where I share my thoughts about pretty much everything. Parenthood, being a new mum, beauty product reviews and stuff about my life in general. What makes me different? I'm being 100% myself, without trying to please anyone as life is too short trying to please everyone all the time. My reviews are sometimes brutally honest, especially if I didn't like the product at all and I've also shared some pretty personal stuff there. I'm living through honesty! An extremely honest post that Jasmine's done is this one about her breast reduction surgery! I started my first blog, back in 7th grade. I wrote in Finnish but the way I wrote didn't quite match with Finns. I got a lot of hate. Later on, when I started putting Little Things With Jassy together I started in Finnish, slowly transitioning it Finnish/English and now I'm writing completely in English. I don't know how I got into blogging, I just started it for some reason. I saw an ad for Blogger when surfing on the Internet with our old computer and that's how it started. My life outside of blogging includes lots of baby cuddles and family time. I have a 7-month-old son in the house so he's keeping me a bit busy during the daytime. When my husband comes home from work I get some me-time for studying and blogging. There are so many! I love blogging community because there's so much diversity and so many things to get inspired from. Just to mention a few who are popping to my head right now are Caitylis (caitylis.co.uk), Rhianna (rhiannaolivia.com) & Jemma (dorkface.co.uk). I make lists. A lot of lists. I live through lists. Marking stuff done is by far the most satisfying thing on Earth haha! Though I haven't needed a lot of motivation to blog as I treat it as my hobby and I try not to stress about it that much. My greatest achievement must be the fact that I switched my language from Finnish to English. It's the best thing I've ever done for my blog. Thank you for reading!! Hope to see you next Wednesday for another interview. Hi guys! I am a self-confessed lazy girl, but I love to do whatever I can do to make sure I always look great. I'd much rather have an extra half an hours sleep than wake up half an hour early to get ready and in my ideal world, I would get more sleep and leave the house looking fantastic! I try not to use too much heat on my hair, instead I will leave it in it's natural state and pop a few kirbys into it before leaving. However, sometimes you want to look a bit more polished. If I have a presentation to do, I want to make my naturally frizzy hair look as sleek as it can look and I would suggest in investing in a good-but-pricey pair of straighteners as this means for me that my hair will be straight for at least three days, plus it cuts down on the time you spend straightening it! Most days I braid my hair in the morning, I find that this creates effortless waves for me in the morning - and the best part about this is that you literally need to pop in a few pins, use a bit of hairspray to set and tame your style, and that's you done! Apply dry shampoo before you go to sleep. I use this dry shampoo as it doesn't leave an annoying white cast, comb it through my roots and sleep on it! These are the hair hacks that I use, and you can read more and look on YouTube for hair tutorials! Spray perfume at your kneecap, wrist, neck and elbows to ensure they stay all day and you will always smell lovely. This means you don't have to carry perfume about with you all day. Use a spoolie to blend out eyebrow pencil. Your eyebrows frame your face so make sure your pencil is blended and your brows aren't too boxy. Always curl and separate your lashes. To curl, use any regular curler and then separate using a spoolie before applying mascara. Foundation before concealer is always the way to go. I tend not to use concealer too much, but when I do it is always after I've applied foundation so not to ruin my base. The most important hack is to never scrimp on your skincare routine. No matter how much time you don't have, I would always prefer a cleansed, makeup free face than a face which hasn't been cleansed but is full of makeup. Here is a fantastic "cheat sheet" on the best moisturiser ever. With the colder weather coming in, it is super important to keep your skin hydrated. Wiggle your mascara wand to get thick, voluminous lashes. Here is an extremely comprehensive list of hacks - some of which I have included. You can also YouTube beauty hacks for any more tips tricks.